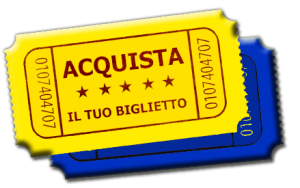 Da lunedì 22 maggio 2017 sono ufficialmente aperte le prevendite per l’acquisto dei biglietti di ingresso all’ottava edizione dei Giochi delle 7 Frazioni – Parma 2017. La sera degli eventi (sabato 10 giugno e mercoledì 14 giugno) sarà attiva una biglietteria presso l’arena dalle ore 18.00. LA PREVENDITA E’ ATTIVA SIA PER LA SERATA DI SABATO 10 GIUGNO (EDIZIONE LOCALE DELLE 7 FRAZIONI dove scenderanno in campo le squadre di Alberi, Carignano, Corcagnano, Gaione, Panocchia, San Ruffino e Vigatto) CHE PER LA SERATA DI MERCOLEDI’ 14 GIUGNO (EDIZIONE PROVINCIALE I ZÒGH ÄD PÄRMA dove scenderanno in campo le squadre dei Comuni di Colorno, Felino, Medesano, Noceto, Parma, Sala Baganza e Sissa-Trecasali). I’m extremely impressed with your writing talents as smartly as with the structure for your blog. consider simply how a lot time I had spent for this information! Thank you! a blog for? you made blogging look easy. The total look of your website is fantastic, let alone the content material! nice procedures and we are looking to swap techniques with other folks, be sure to shoot me an e-mail if interested. It’s in reality a nice and helpful piece of information. I am satisfied that you just shared this useful information with us. Thanks for finally talking about >PREVENDITE BIGLIETTI ottava edizione | Giochi delle 7 frazioni <Loved it! It’s remarkable to go to see this site and reading the views of all friends concerning this post, while I am also keen of getting familiarity. Wow! After all I got a blog from where I be able to truly obtain useful data regarding my study and knowledge. I definitely get annoyed whilst people consider worries that they plainly don’t understand about. early in the morning, for the reason that i like to learn more and more. What’s up friends, nice post and pleasant arguments commented at this place, I am truly enjoying by these. techniques for new blog owners please share. I understand this is off subject however I just wanted to ask. of computer programming but I was hoping to start my own blog soon. Anyways, should you have any suggestions or tips for new blog owners please share. find things to improve my web site!I suppose its good enough to use a few of your ideas!! Hi, I do believe this is an excellent blog. I stumbledupon it 😉 I will come back yet again since i have bookmarked it. What’s up to every body, it’s my first go to see of this web site; this website includes remarkable and genuinely excellent data in favor of readers. I wish to show some appreciation to you for rescuing me from this type of issue. After searching through the world-wide-web and meeting tips which were not beneficial, I assumed my life was over. Living minus the answers to the issues you have sorted out by means of the article is a serious case, and the ones which could have in a negative way damaged my entire career if I had not come across your blog post. Your good competence and kindness in maneuvering all the things was priceless. I don’t know what I would’ve done if I had not come across such a stuff like this. I am able to at this moment look ahead to my future. Thanks a lot so much for this skilled and result oriented help. I won’t hesitate to suggest the sites to anybody who desires guidance on this situation. What’s up, I would like to subscribe for this webpage to obtain hottest updates, therefore where can i do it please assist. where can i get over the counter sildenafil http://www.viagrabs.com/ viagra without prescription. bedre end sildenafil. viagra and testosterone cheap viagra free shipping jack in box sildenafil. sildenafil performance anxiety helps cheep viagra sildenafil and peripheral vascular disease.